1. 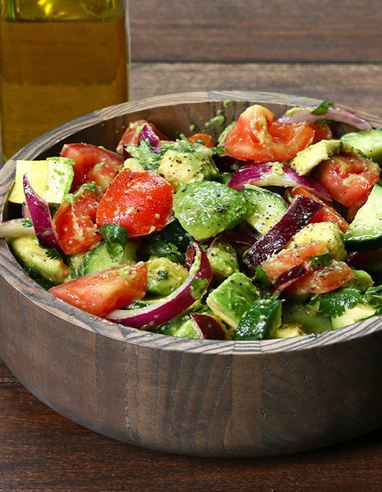 Place sliced cucumber, tomatoes, avocados, onion, and cilantro in a large salad bowl. 2. Toss with olive oil, lemon juice, salt, and pepper.